For media inquiries regarding general immigration issues or upcoming speaking engagements, please contact Sonia Nazario directly at sonia@sonianazario.com. The award winning, national bestselling book, Enrique’s Journey, is a classic in the literature on immigration. It is now revised and updated, and Sonia Nazario is one of the country’s most powerful voices on the subject. This book is not just the story of one boy in search of his mother. It is the story of one million undocumented children living in the United States today. Based on the Los Angeles Times newspaper series that won two Pulitzer Prizes, the George Polk Award for International Reporting, and the Grand Prize of the Robert F. Kennedy Journalism Awards, ENRIQUE’S JOURNEY puts a human face on the ongoing debate about immigration reform in the United States. The book won the 2011 Williams College Book Award Program, the 2006 California Book Award, Silver Medal in non-fiction, and the 2006 Christopher Book Award. It has been translated into eight languages, chosen by 87 universities and scores of high schools nationwide as a common or freshman read, and selected by 20 cities as a “One City” read. At a time when America is embroiled in a national debate on immigration that will shape the country’s future, Sonia Nazario argues that we urgently need a different approach. Instead of continuing the same three ineffectual strategies–greater border enforcement (costing $18 billion a year), temporary guest worker programs, and pathways to citizenship–she calls for a new approach that addresses key “push” factors that propel migrants, especially women and children, to leave their homelands. She argues that instead of spending billions on walls that don’t work, the U.S. must improve conditions in four countries that send 74% of migrants who come to the U.S. illegally by increasing aide to help improve education for girls, lowering birthrates; promoting micro-loans to help women start job-generating businesses; and gear trade policies to give clear preference to goods from these four countries. As the Latino electorate is felt more acutely at the polls and businesses demand more immigrant workers as the economy grows, political leaders are increasingly confronting the immigration issue. House Republican leaders on January 30th proposed changes that include tougher border enforcement, a better system for temporary workers, more visas for high skilled workers, and a path to legalization for children, but not necessarily for half of the 11.7 million in the U.S. illegally. A recent and unprecedented surge in children coming unlawfully and alone, without either parent, to the United States. In fiscal 2014, the U.S. estimates it will capture 74,000 children entering the U.S. and place them in federal custody, ten times the number three years before. One in six of these children are 12 years old or younger; most are from Central America. While the overall apprehension of immigrants entering the U.S. unlawfully is at a 40-year low, the number of children coming alone and illegally is higher than ever before. There are now 80 detention shelters across the United States established just for unaccompanied immigrant children, up from 53 facilities two years ago. One study found 40% of these children are eligible to stay in the U.S. legally. But few have the legal counsel needed, and are being returned in large numbers to their country of origin, often to dangerous situations. While Kids in Need of Defense, a nonprofit begun by Microsoft and Angelina Jolie (Nazario is a board member), has recruited more than 6,100 pro bono attorneys nationwide to represent unaccompanied children, the vast majority of children, some as young as two years old, still go to court alone. They stand frightened and confused before immigration judges with no legal advocate to help them mount their legal case. There are one million undocumented children in the United States today. By 2020, 30% of all children in the nation’s public schools will either be an immigrant or the child of an immigrant, up from 6% in 1970. Each year, 65,000 undocumented students graduate from U.S. high schools. These children are part of a larger demographic shift, as Latinos go from 17% of the U.S. population today to 30% by 2050. The Zetas, the worst narco-trafficking cartel in Mexico, is kidnapping 18,000 Central Americans a year. Their preferred target: children, so they can extort money from parents in the U.S. Forced gang conscription in Central America is causing boys as young as seven years old to flee for their lives. Some experts have begun calling this mass exodus of children a refugee crisis. Children are coming by foot, boat, and, like Enrique, gripping to the tops of freight trains that travel up the length of Mexico. The trauma these children have faced in their home countries and on their journeys north affects a large number of children in the U.S.
Children have been separated from parents when mothers or fathers come to the U.S. and leave them behind. But today, family separations are also happening in reverse, as more people living in the U.S. illegally are deported than ever before. Some 200,000 parents of U.S. born children were deported between 2010 and 2012, and more than 5,000 children have ended up in the U.S. foster care system as a result. Is the amped up border enforcement really working? Will spending more money help? Do pathways to citizenship encourage more illegal migration? Would moving forward on the immigration issue help grow our economy? Would creating a path to legalization without the possibility of citizenship be good or bad for the U.S.? 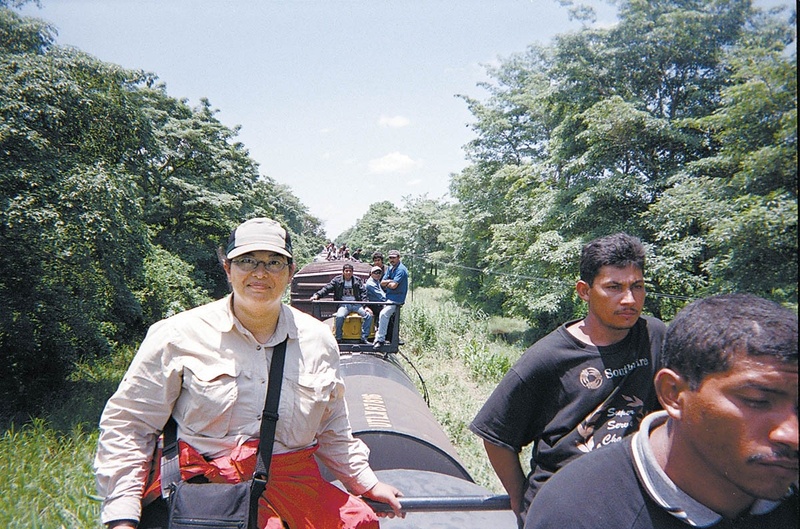 Sonia Nazario atop the “train of death” in Mexico. An estimated one million children live illegally in the United States, most from Mexico and Central America. Most have spent time away from a parent before following him or her to the United States. Statistics show that one out of every four children in the nation’s elementary schools is an immigrant or the child of an immigrant. This is nearly double the number from just twenty years ago. In May 2000, journalist Sonia Nazario decided to document the journey of one such child, then known only by his first name: Enrique. 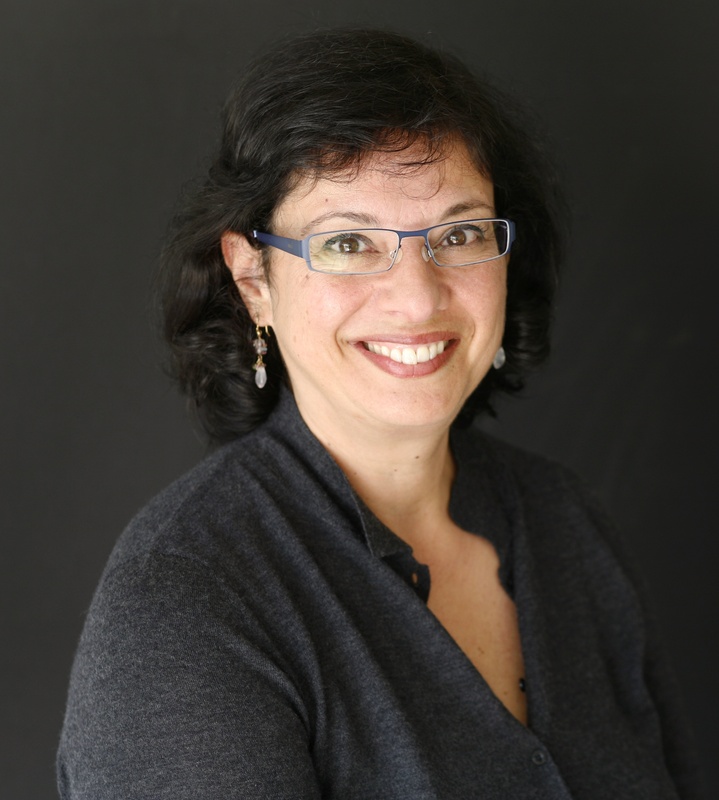 Her compelling account of Enrique’s harrowing trip from Honduras to the United States, in search of his mother, Lourdes, was first published as a series in the Los Angeles Times and would go on to win the 2003 Pulitzer Prize for Feature Writing. In 2006, her book, ENRIQUE’S JOURNEY: The Story of a Boy’s Dangerous Odyssey to Reunite with His Mother was published to widespread acclaim and became a national bestseller. With ENRIQUE’S JOURNEY: The True Story of a Boy Determined to Reunite with His Mother (Delacorte Books for Young Readers/ On Sale August 27, 2013/ $16.99/ Age 12+), Sonia Nazario has adapted her bestselling work for a younger audience. Enrique was seventeen when he journeyed from Honduras to the United States. Though he may have been a teenager in many respects, he would be forced, by circumstance, to grow up very quickly. In her amazing account of Enrique’s odyssey, Nazario retraces the young Enrique’s footsteps: beginning in Honduras, taking buses through Central America, then traveling the length of Mexico clinging to the top of seven freight trains before hitchhiking on a truck from Northern Mexico to the U.S. border. All told, in following Enrique’s exact path, Nazario traveled more than sixteen hundred agonizing miles. In addition, Enrique’s Journey now contains a new epilogue, updating readers on where Enrique is today, on his life since his story became national news. Though Enrique came to the United States chasing the dream of a better life, he struggled upon his arrival. As an illegal immigrant, he was forced to live in the shadows, knowing he could be deported at any time. His imperfect English made him stick out in a country he longed to call home, and he struggled to find work, even as he found it nearly impossible to fit in. As Nazario ably demonstrates, kids like Enrique flow into the United States every day, in increasingly high numbers. Though Enrique’s story is not an uncommon one, it is necessary. With the immigration debate now even more of a hot-button political issue, ENRIQUE’S JOURNEY brings to light the daily struggles of migrants, legal and otherwise, and the complicated choices they face to survive.